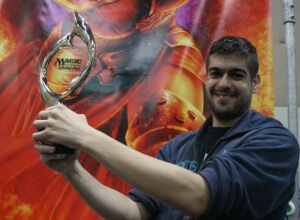 Javier Dominguez is the Champion of Grand Prix Paris 2014 (Legacy) and took 2nd place at another Grand Prix. He also has 3 Pro Tour Top 16s (one Worlds). He likes making decks and playing Legacy. Javier lives in Spain. The people Javier has met has made Magic really fun and sustainable. Drafting. To overcome this weakness, Javier would write down his picks and then ask people if they would make the same ones. That post-game discussion and feedback really helped him improve. When Javier started playing regularly (daily) with his friends and playing all decks against all deck he noticed he really started to improve. Building a Legacy deck and then seeing several team members perform so well in a Pro Tour really meant a lot to Javier. Play blue. From there you can identify your style and move from there. Consider what has been doing well, pick a deck, then play it a lot so you know it backwards and forwards. Not talking to people enough about the game. Also, keep your mind focused. If you are there to win then focus on winning 100% of the time. It's okay that you miss a land drop or make a misplay, just recalibrate and keep your mind on winning. You can train yourself to focus by playing against someone while visualizing you are playing for the Top 8 of a Grand Prix. Practice focusing and you'll get better at focusing. Javier looks for enablers when a set is released. He will compare new cards to ones that he's used to. This gives him a baseline. Sealed: Make three piles: Wow cards, solid fillers, all the rest. Remember, anything not in your deck is your sideboard. Draft: When there are two cards that are close, take the bigger one because they are generally better. Know color combinations and archetypes for the set you're drafting. Link up with other players (find a good group at your local FNM) and practice with them. It's important to have someone to talk about the meta game with and make critical decisions with. Eat and drink at least every 2 hours. 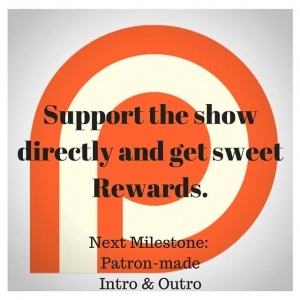 If you are hungry or thirsty then you've waited too long. To break into the competitive scene there is always a cheap deck. (Usually red.) Start with this deck. No matter what you choose, make sure you stick with it and practice a lot. Raphaël Lévy is a Magic Player from Toulouse, France. He was inducted into the Hall of Fame in November 2006. He has 3 Pro Tour Top 8's and 20 Grand Prix Top 8's with 5 wins to his name and led the French team to victory in the 2013 World Magic Cup. Raphael is very competitive and the challenge has kept him hooked. Even when going through stale periods Raphael stuck around because he loves winning. Raphael joined an international team called Legion in 1997. He did this by qualifying for the Pro Tour by winning a Grand Prix in Djon which was 8 hours away. Hall of Fame ceremony in his home country of France. All of Raphael's family attended. With them there, along with his countrymen, he felt very honored and proud. Raphael knows his play style and picks a deck that is competitive and that he can pilot well. Raphael really understands the combat phase and therefore does not play control decks. Choose a deck that fits your style. The biggest mistake Raphael sees is in the combat step. Players don't think about it enough. People don't realize that missing one point of damage in a combat step can lose then the game. Raphael waits for the whole set to come out before evaluating cards. Experiment with Limited yourself. Draft lots of color combinations and you will get a feel for what works and what doesn't. Read, listen and watch others but always apply what you learn by drafting yourself. Raphael mentions his draft at GP Madison 2015. Limited: Buy 6-12 packs, mark the packs and then after you build your deck (draft, sealed, team) you can rebuild the packs, switch around the rares and then play again. To be a better Magic player you need to not play Magic. This will help you avoid burnout, avoid automatic plays and put yourself in a different mindset for tournaments. Don't play your cards as they come. Stop and think. Chester Swords has 1 Grand Prix Top 8 and has been to 4 Pro Tours! In addition to his Grand Prix Sydney Top 8 his notable achievements in Magic are winning a Japanese Pro Tour Qualifier in Chiba while being there on holiday and going 9-1 in constructed at Pro Tour Dragons of Tarkir! He lives in Sydney, Australia. The competitive aspect and friends you make along the way. Limited is Chester's weak point. Talking to those who are better has been Chester's best way to improve. Other than jamming a bunch of Limited games. Shifting to Magic Online and primarily playing there. This lead to his first PTQ win in 2011. Making Top 8 at Grand Prix Sydney 2015. Constructed. Chester likes seeing your win rate go up as you practice with a certain deck (in Modern or Standard). When you're first learning a format, pick a deck and stick with it. After you have a feel for the format you can switch decks. Knowing your own play style is key to picking a deck. By playing Magic with different decks and against different decks you will learn what you like. Build the popular version of that deck and then tweak it as you continue playing. Keeping really loose keeps is a big mistake players are making. Especially with the new mulligan rule players should be keeping a lot fewer hands than they are. You have to be familiar with your deck and the match up to make the optimal keep or mulligan decision. Don't show up unprepared. Take snacks and water and get sleep. Compare new cards to similar cards in older formats, then consider how good that card was in the old format and use it as a baseline for how good the new card is. Sealed: Sort cards by color and then take out the unplayables. Next see which colors are playable by identifying if your pool can support a certain archetype. In Battle for Zendikar you want a fast or bomb-centric deck. Removal is key in any Limited format. Drafting: Look at content online before you dive in to a format. By having an idea of what the archetypes in a format are ahead of time you'll be better prepared to draft than if you just showed up and sat down. Read articles and watch videos. Drafting two or three times a day is how Chester prepares for a Limited Grand Prix. Then he will talk about his decisions with others. For a Constructed Grand Prix he will get in reps with his deck so he can identify lines of play and become more familiar with his deck. The red deck of any given format is usually pretty good. Starting with that deck is a great place to start. Surround yourself with people who are better than you so you can improve. Brian Braun-Duin produces strategy articles and video content for StarCityGames.com. He has Top 8'd four Grand Prix and won two: Grand Prix Louisville and Grand Prix New Jersey. Brian lives in Virginia. Brian loves solving puzzles and Magic feels like a puzzle to him. What deck should you play at a tournament? What sequence do you need to play to win? These questions fuel Brian's love of Magic. Tunnel vision. Brian was so focused on card advantage and getting small, incremental advantages that he would miss the big picture. There is always a card that can unravel your carefully laid plans so keep your eye on the big picture. Winning is better than card advantage. Review the top 3-5 decks using tournament reports and choose a deck that's well positioned against those. Brian is constantly thinking "How do I win from here?" He sequences and makes plays that gives him the best chance to win. Compare new cards to older similar cards. This will form the base line. Make three piles per color. Next look at what your two best colors are. Consider your mana base and whether the format can support splashing of building a three color deck. Drafting: Take into consideration your first pick, but more importantly track what's being passed to you so you can see what's opened. Always give yourself a couple of questions to answer during a play test session. "Is this card good in this match up?" "Is my side board plan good in a certain match up?" By answering questions you will get the most out of your play sessions. 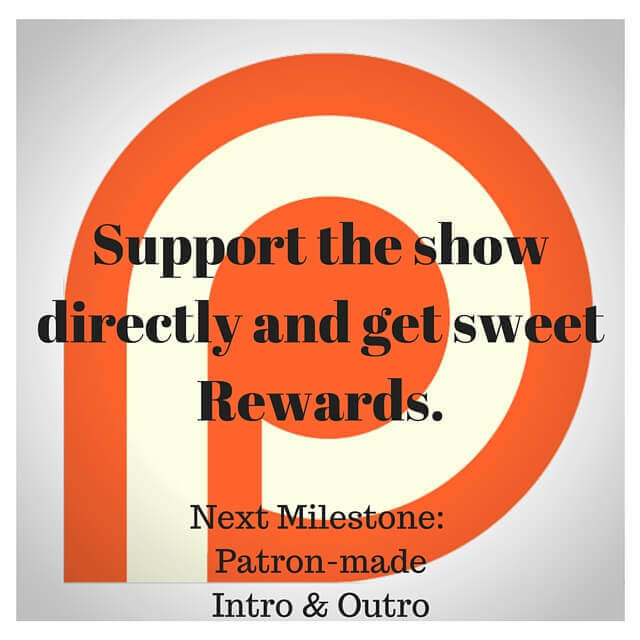 Go to your game store and network with the other players. 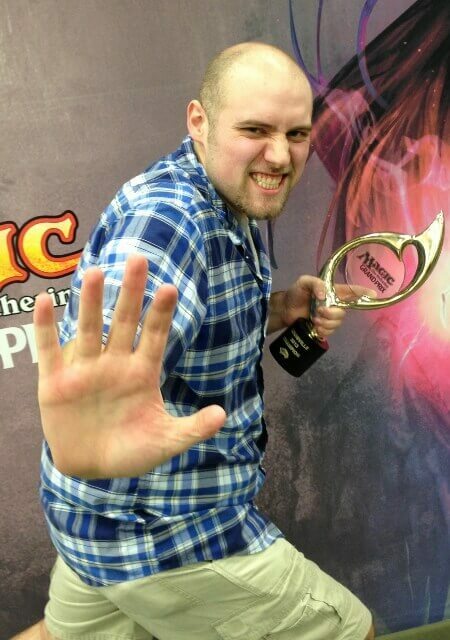 Alexander Hayne is a Magic: The Gathering Platinum Pro Player with 8 Grand Prix Top 8s including 4 Grand Prix wins! He is the Champion of Pro Tour Avacyn Restored and was the 2012 Rookie of the Year. He lives in Montreal, Canada. The challenge of perfecting your game and working on yourself. The game is always changing and keeps the experience fresh. Alexander thought he was better than he was when he first started but specifically struggled with combat. Having a plan, looking ahead and doing combat math is a crucial skill that every player needs to develop. Think ahead five turns and work backwards. Practice this to improve your mind for combat. Ask for advice from better players. 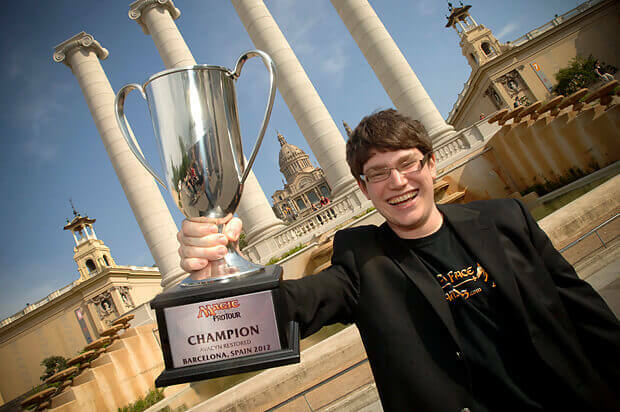 Winning Pro Tour Avacyn Restored in Barcelona 2012. See what did well at the last tournament and assume people will being playing something that will beat that. Attack the meta from that angle. Playing by instinct too much. When a line of play presents itself many people react on auto pilot and make a good play when there is a better one available. Wait for the whole set to be released and look for interactions between new cards. Try to stick to two colors in Sealed unless you have really good mana fixing. Look for solid power level cards and removal. At the beginning of a draft format feel free to take rares more often than you would later so you can test them and see what they have to offer in Limited. Draft cards that affect the board with a good curve, good removal and good tricks. Also, keep your eye out for card advantage as well. Play with good people or watch people play. Drafting cube is an economical way to get experience. Read a lot of articles. The Professor YouTubes at the Tolarian Community College and specializes in Magic: The Gathering product reviews, as well as introductory and in-depth guides to the many aspects of game play. When the Professor returned to Magic he was strongly opposed to net decking. His next level moment was realizing that living in isolation is not a way to increase your knowledge and skill. First Friday Night Magic he won. First Game Day he won. At the Tolarian Community College the Professor reviews Magic: The Gathering products. He was instrumental in bringing the FOUR by DeckTutor to the United States. In fact, because of the feedback from his audience Deck Tutor modified the design of the binder to fit cards that have been sleeved in a perfect fit. Max Protection sleeves are the worst the Professor has ever reviewed and their deck boxes literally stink. Stubbornness. Out right refusing to play different decks just to learn limits growth. Even if you don't like/want to play a certain type of deck competitively you should at least play them a few times in practice so you understand how the deck works. The Professor is a self admitted crank during spoiler season. He wants reprints and to return to sets that are unpopular. LOL. Printing proxies and making sample booster packs to build sealed decks and draft before the pre-release. Reading articles and being familiar with the current sets is a great way to break into Magic. Mono Red for constructed (Standard, Modern and Legacy) is a great starting point. Kenji Egashira is an enthusiast of 40 card formats, and has been playing Magic since he was 10 years old. Perhaps best known for his Twitch.tv stream where he goes by NumotTheNummy, he is a full-time "internet-preneur" broadcasting his games and entertaining viewers. Kenji lives in Washington. Always changing. New sets and story lines keep the game fresh. Not focusing on getting better. Early on Kenji would just play the game and not think about the outcome. He would blame losses to luck. Now he thinks, "what did I do wrong and how can I get better?" When Kenji started streaming he started to improve because he had input from his audience that helped change his perspective. Also, 9th at Grand Prix Vancouver. Many players play not to lose, instead of playing to win. Keep track of your thought process and note when you fall into this trap. Kenji looks for synergies between cards and determines if they will be good in draft. Now Kenji waits until he streams a new set to see the cards. This gives his audience a fresh perspective on the cards. When he does this he has to recognize if a card is good by itself rather than if it fits into a strategy because he doesn't know the synergies yet. He figures that out as he drafts several times. Sealed: Sort out bombs, then colors and look at how many playables you have. Curve, playables, bombs; the makings of a well managed Sealed deck. Draft: Once you've drafted the set a few times you can ear mark cards that are worth remembering. Kenji notes the first 5-6 picks in a pack so he has an idea of what other colors will be taken at the table. Repetitions + decompression. Playing a bunch of games in the format you're preparing for and then critically thinking about each game afterwards is a great way to prepare. Even when you win you should consider what you could have done better. Repack booster packs so you can draft and build sealed pools without buying new product. Sam Pardee is a Grand Prix superstar. So far he’s grabbed 7 Grand Prix top 8s, with wins in Detroit (team) and Portland (Modern). Sam lives in Berkeley California. Side boards - Sam would just copy a side board and not think why the cards are there or pick 15 cards that weren't really good. Rigorously going through each match up and thinking which cards you need in the match up with others really help. Right after Worlds 2012 Sam played Tempered Steel, which was out of his comfort zone, twice a day on MTGO. He learned the deck inside out, including how to side board, and feels this period really boosted his skills. Pro Tour Born of the Gods. Sam's team, Face to Face Games, did really well and he loved being part of that moment. Modern - You get such an edge knowing your deck inside out. Consider what was visible from the most recent tournaments and play decks that come from a different angle. For example if Dromoka's Command is really popular, don't play a card that gets blown out by it (like an enchantment based deck). Not advancing your own game because you ascribe too much to your opponent's plays. Sam takes a hard look at new lands, especially when a rotation is going to happen, because the mana base will have a huge impact on the direction of the format. When evaluating cards for eternal formats, the casting cost is very important because the barrier to entry is very high. Sealed: Sam looks at his bombs, answers to bombs, and cards that are resilient to removal. Draft: Through practice (repetition) you get a better feel for reading the draft and managing your curve. Find the time to draft regularly and you'll see improvement. Sam drafts 10-20 times to get a feel for the format and then uses that information to do well. Putting together a group of people you like and have similar goals is the basis of a team. A minimum of 8 players is kind of the standard so you can hold a draft but 10-12 is better in case a member has to step out for something. When you have your core group and come up short for the Pro Tour then bring people on through a trial period. If things work out, keep them, if not then you can part way cordially. Find a group of people who have similar goals to you and that you like hanging out with and play a lot. Use proxies to play test and then invest in the deck you really like before your event.